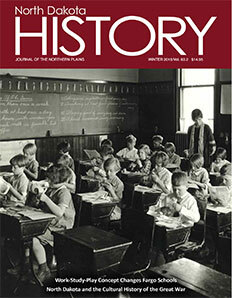 Search the indexes of State Historical Society of North Dakota's quarterly publications from 1906 through the present. For further information on the publications program of the State Historical Society or to submit a manuscript, write to the Editor, State Historical Society of North Dakota, 612 East Boulevard Avenue, Bismarck, ND 58505-0830, or send an e-mail to EditorSHSND@nd.gov, or call 701-328-2666. For information on current and available back issues call (701) 328-2822 or contact Museum Store Manager Richard Fisk at museumstore@nd.gov. For additional publications visit the Museum Store online.